This was one of my recipes in the running for the Hot and Spicy Week I did back in September but I just had too many good jalapeño recipes to share so this one got the boot. Well my jalapeño plant was still producing in November thanks to this unseasonably warm weather so here it is, the jalapeño popper grilled cheese sammy! 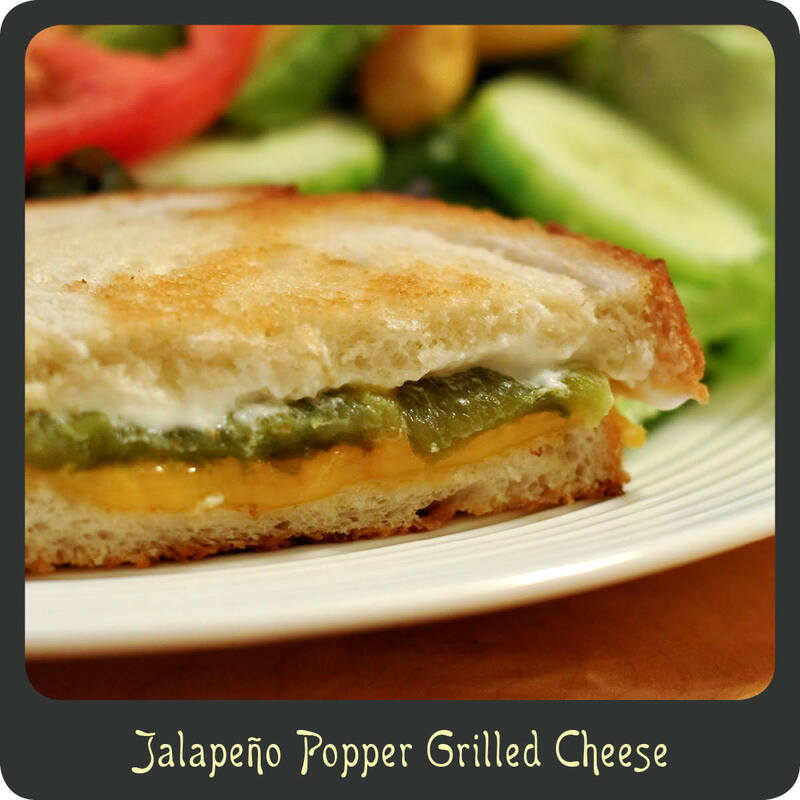 It is creamy, cheesy, and spicy, all the qualities a person looks for in a popper. Enjoy! Spread one side of each piece of the bread with butter. Place two slices of bread butter side down in the skillet. Top the bread in the skillet with the sliced cheddar cheese. Add the roasted jalapeños to the sandwich. Spread the remaining two slices of bread with cream cheese on the sides without butter. Place the bread cream cheese side down on the sandwich. Cook for approximately 3 minutes or until the bread is a toasty brown. Flip and cook for another 3 minutes until cheese is melted and the other side is a nice toasty brown. I’m totally going to make this! I love poppers, they are the best dive bar food ever! And this is like the classy version — totally trying it the next time I need some cheesy spicy goodness in my life. Yum!